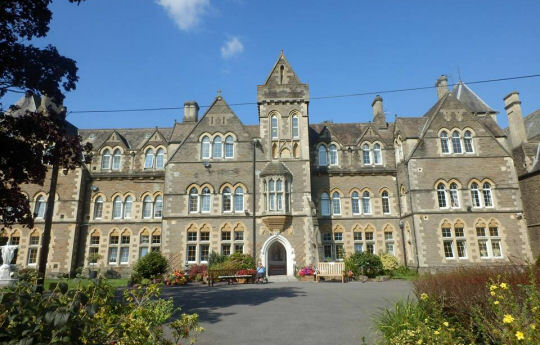 A Nazareth House was established in 1872 at North Road, Cardiff, providing accommodation both for the elderly poor and for destitute and orphan children. The children's part of the establishment was certified to take Roman Catholic girls placed by the Boards of Guardians who operated the workhouse and poor relief system. The School site is shown on the 1901 map below. Nazareth House site, Cardiff, c.1901. 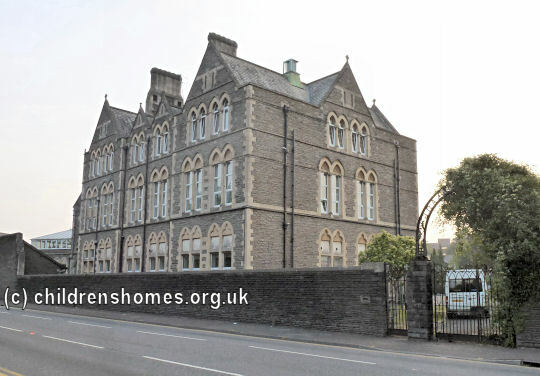 On August 16th, 1890, the girls' home was also certified as an Industrial School for neglected and vagrant children from South Wales, placed by magistrates. Initially 100 girls could be accommodated for this purpose. The Industrial School began operating in February 1891 but a year later, having received very few girls under this arrangement, the scheme was abandoned. The few girls that had been placed were transferred to another Industrial School at Salisbury. The home then reverted to providing accommodation for orphan Roman Catholic girls from workhouses and training them for domestic service. 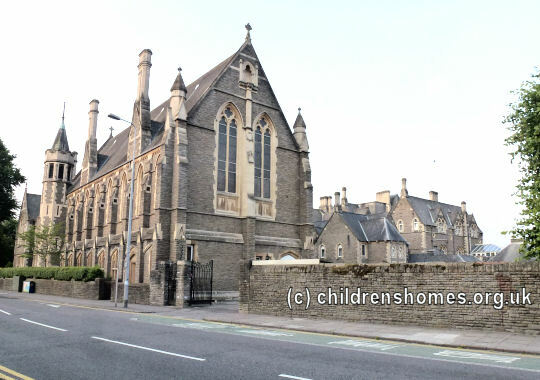 By the mid-1890s, up to 300 girls could be housed, from the age of three upwards. With the decline in demand for residential children's care from the 1950s onwards, the home reduced its provision for children. 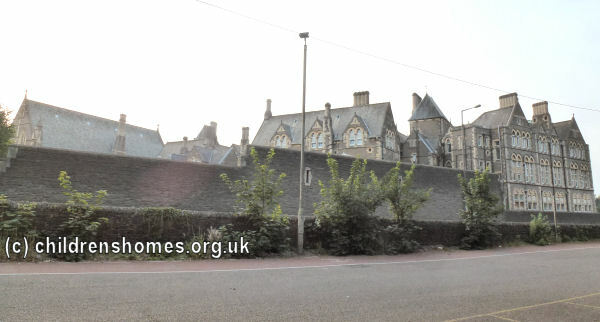 It also began accepting boys below the age of five, who were then transferred to the Swansea Nazareth House, with only the girls remaining in Cardiff. 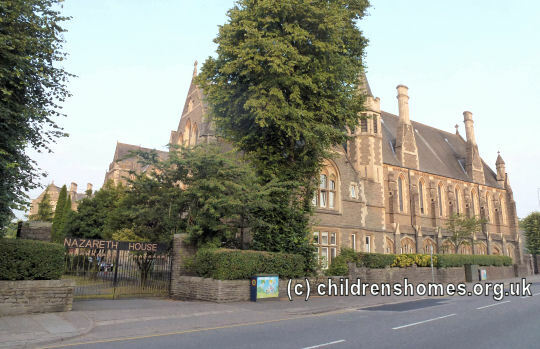 In 1968, the Cardiff home places for up to 78 girls and boys. 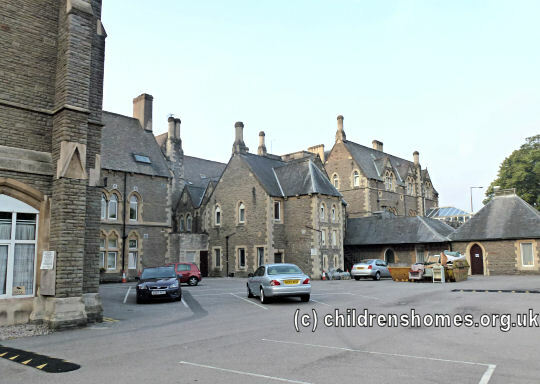 The Cardiff Nazareth House still exists, now just providing residential care for the elderly. Sisters of Nazareth Archive, Sisters of Nazareth Archive, Nazareth House, 169-175 Hammersmith Road, London W6 8DB. The archivist is Christine Hughes. The archive contains material from the very beginnings of the order in the 1850s up until the present day. The archive is not open to the public and does not have facilities for personal searchers, although exceptions can be made for Sisters and for academic researchers. Enquiries are welcomed by post only for privacy and confidentiality reasons and replies are by also letter. There is no fee for dealing with enquiries, although donations to the Sisters are appreciated. Fothergill, Anne Memoirs of a Nazareth House Girl (2013, Quoin Publishing). Memories of the Middlesbrough Nazareth House. Gray-Wilson, Shirley It isn't Always Raining: Children in Care, 1939-1948 (2000). Life in the Carlisle and Newcastle Nazareth Houses. Kelly, Judith Rock Me Gently: A Memoir Of A Convent Childhood (2006, Bloomsbury). A memoir of life at Bexhill Nazareth House in the early 1950s. The factual veracity of this book has been challenged, and charges of plagiarism levelled against the author (e.g. see Catholic Herald 2/9/2005 ). The introduction to the current edition of the book acknowledges some of these criticisms. Reilley, Frances Suffer The Little Children: The True Story of An Abused Convent Upbringing (2009, Orion). 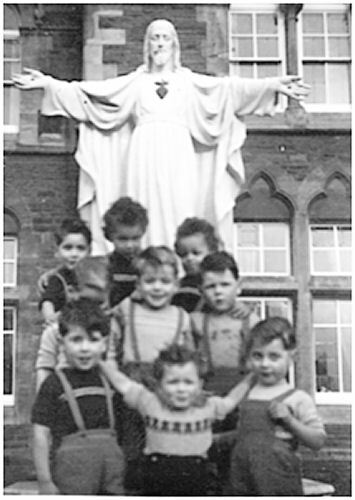 Memories of the Belfast Nazareth House. Thanks to Paul F. for information and pictures.